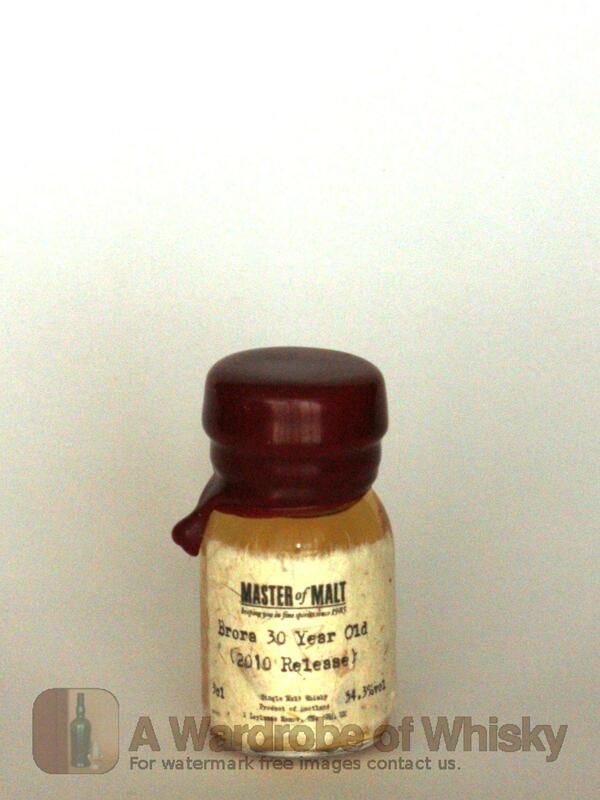 The 8th release of Diageo's revered Brora 30 years old is, in our opinion, one of the greats. Gorgeous fruit, with much less emphasis on smoke & peat this time. Brora distillery is now closed and these are part of the last remaining stocks that Diageo releases yearly. Brora sunset began with the building of Clynelish just in front of them. This scotch whisky has been bottled at cask strength. Nose (92): more than average. peat, honey, floral, vanilla, wood, spices. Taste (92): smooth, powerful, oily. peat, honey, floral, citrus, wood, peaches, vanilla, earth. Finish (90): longer than average. peat, honey, floral. These bottles have been chosen over others because their nose, taste and finish are more similar to Brora 30 year 2010 Release than the rest. Go to Whisky-o-matic page to fine tuning other settings.